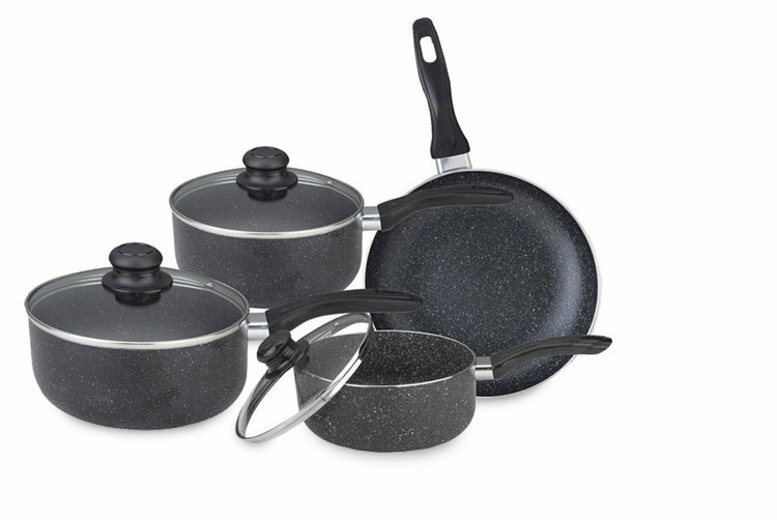 Get a seven-piece non-stick marble pan set. Choose from a black or grey set. 16cm, 18cm and 20cm saucepans with glass lids. Plus a 24cm frying pan. Tough and resistant non-stick coating that needs little or no oil. Made from durable aluminium.